In the past 18 months, I’ve spent just over 100 nights sleeping outdoors, mostly under the stars, sometimes in a tent, usually by a river, sometimes not. But, the only constant was that I ALWAYS camped on a cot. 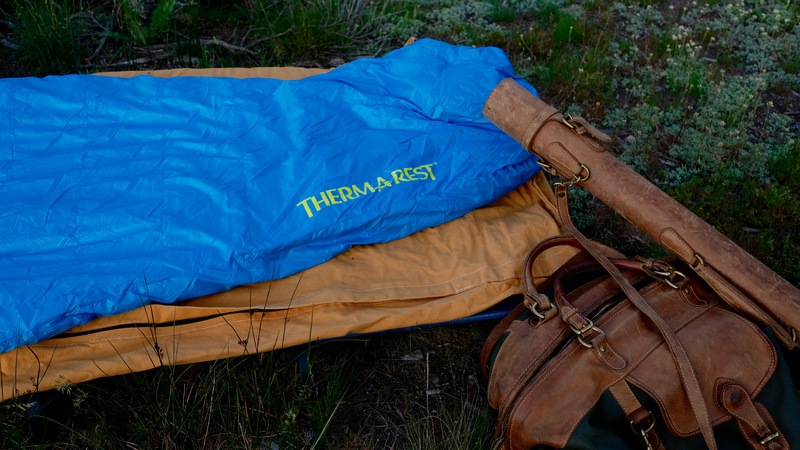 Specifically, the Therm-a-Rest UltraLite Cot. In 2016, our National Park Service celebrated its 100th Anniversary and to mark the occasion, I visited a number of them. These were not fly by, pop in, poster view visits. No, these were shoulder season, beyond the railing, off the beaten path, river adventures in a wooden boat. There are a number of ways to experience the Great Outdoors in the National Parks – hiking, biking, kayaking, off roading, horseback. I’ve dabbled in each of these and found that I prefer to explore them from the helm of a handcrafted mahogany drift boat, the perfect vessel to run remote rivers and treacherous rapids. That wooden boat has taken me down the Flathead River in Glacier, the Snake in the Grand Tetons, the Quinault in Olympic, the Cowlitz in Rainier, the Colorado River in Rocky Mountain, Grand Canyon, and Canyonlands National Parks and many many others. On every adventure, I slept on the cot. Paired with a NeoAir inflatable mattress and a seasonally-appropriate sleeping bag. Despite the forecast throwing every type of weather at me, I was prepared. I encountered snow in the Tetons, hail in Yellowstone, scathing heat in Canyonlands, frost in Rocky Mountain National Park, torrential rain in the Olympics, dust storms and high winds in Grand Canyon, lightning at Crater Lake. Despite Mother Nature running the gambit, the cot and I held up and held together. 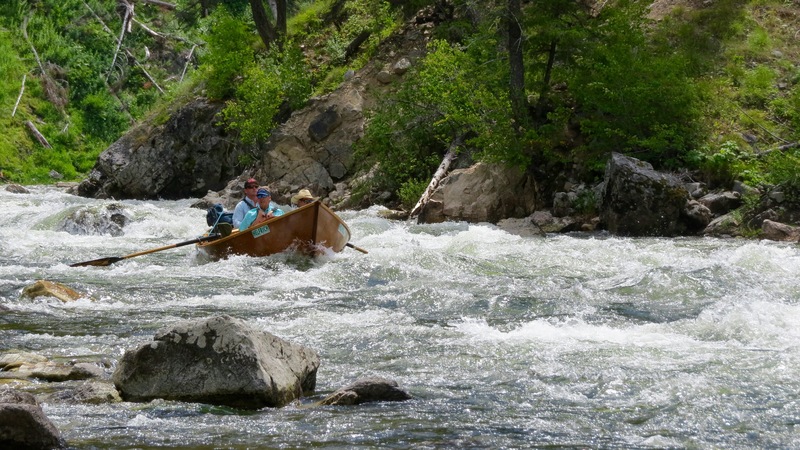 This year, in honor of the 50th Anniversary of the Wild and Scenic Rivers Act signed into law in 1968 by President Johnson, I have steered the bow of my little woodenboat to some of the classic Wild and Scenic Rivers that are now protected by this important piece of legislation. In April, I navigated my boat down the Buffalo River in Arkansas. The following month, I found myself on the Deschutes River of Oregon. In June, it was the Middle Fork of the Salmon River in Idaho – the heart of the Wild and Scenic Act. Only eight rivers were included in the original induction – now there are just over 200 rivers that benefit from that designation. 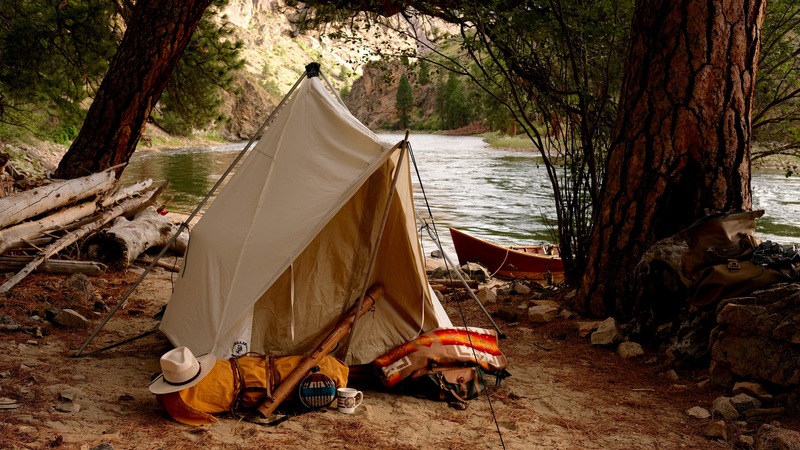 My plan is to run as many wild and scenic rivers as possible in my woodenboat cot camping- bringing as many people along for the ride through writing and photography as possible. Even if we can’t visit all 200 rivers that are protected under this act, it’s important to know that wild and scenic rivers exist – for the enjoyment of our own and our future generations of river runners and outdoor enthusiasts. It’s a “big ask” for the cot to hold up to another 100 nights – it’s showing a little wear and tear – but so is the woodenboat. Both are meant for adventure and we plan on getting knocked around a bit more on Wild and Scenic Rivers in the next several months celebrating those “hard to get to” places that are protected by a Congressional Act that preserves them. 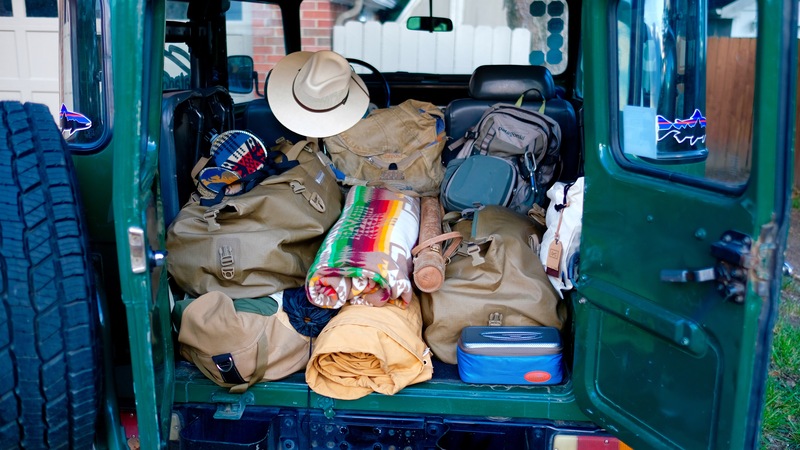 A Raft, a Rope and Three Weeks in the Wilderness.